The sphingolipid family of lipids modulate several cellular processes, including proliferation, cell cycle regulation, inflammatory signaling pathways, and cell death. Several members of the sphingolipid pathway have opposing functions and thus imbalances in sphingolipid metabolism result in deregulated cellular processes, which cause or contribute to diseases and disorders in humans. A key cellular process regulated by sphingolipids is apoptosis, or programmed cell death. Sphingolipids play an important role in both extrinsic and intrinsic apoptotic pathways depending on the stimuli, cell type and cellular response to the stress. During mitochondrial-mediated apoptosis, multiple pathways converge on mitochondria and induce mitochondrial outer membrane permeabilization (MOMP). MOMP results in the release of intermembrane space proteins such as cytochrome c and Apaf1 into the cytosol where they activate the caspases and DNases that execute cell death. The precise molecular components of the pore(s) responsible for MOMP are unknown, but sphingolipids are thought to play a role. Here, we review evidence for a role of sphingolipids in the induction of mitochondrial-mediated apoptosis with a focus on potential underlying molecular mechanisms by which altered sphingolipid metabolism indirectly or directly induce MOMP. Data available on these mechanisms is reviewed, and the focus and limitations of previous and current studies are discussed to present important unanswered questions and potential future directions. 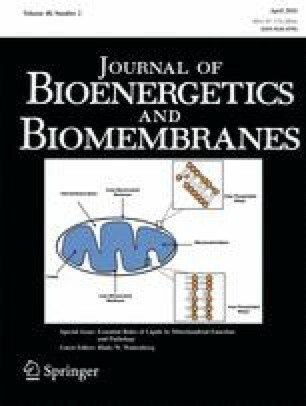 Colombini M (2013) Membrane channels formed by ceramide. Handb Exp Pharmacol :109–126 doi: 10.1007/978-3-7091-1368-4_6. Gandy KA, Obeid LM (2013) Regulation of the sphingosine kinase/sphingosine 1-phosphate pathway. Handb Exp Pharmacol :275–303 doi: 10.1007/978-3-7091-1511-4_14. Pewzner-Jung Y et al. A critical role for ceramide synthase 2 in liver homeostasis: I. alterations in lipid metabolic pathways. J Biol Chem 285:10902–10910 doi: 10.1074/jbc.M109.077594. Pewzner-Jung Y et al. A critical role for ceramide synthase 2 in liver homeostasis: II. Insights into molecular changes leading to hepatopathy. J Biol Chem 285:10911–10923 doi: 10.1074/jbc.M109.077610. Russo SB, Ross JS, Cowart LA (2013) Sphingolipids in obesity, type 2 diabetes, and metabolic disease. Handb Exp Pharmacol :373–401 doi: 10.1007/978-3-7091-1511-4_19. Snider AJ (2013) Sphingosine kinase and sphingosine-1-phosphate: regulators in autoimmune and inflammatory disease. Int J Clin Rheumatol 8 doi: 10.2217/ijr.13.40.